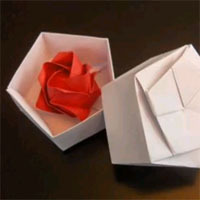 Coffeeghost » Blog Archive » Learn You A Origami! I’ve set up a new site called Learn You A Origami!, which features video tutorials from YouTube of how to fold several different models. I’ll be adding new models periodically. This can be used for any instructional video on YouTube. StepReplay is released under a BSD license. Learn You A Origami! main site. StepReplay can be downloaded here.